TalkFloor’s podcasts are now available on iTunes, making them a quick way to sneak in some additional learning. According to Podcast Insights, more than half of the U.S. population listens to podcasts—at home (49 percent) and in the car (22 percent). 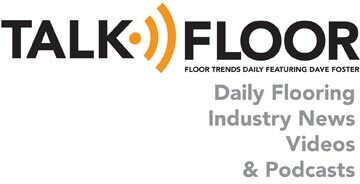 Do you listen to any flooring industry or business-related podcasts for more info? Education is a pillar of TISE, each year kicking off the event with the hottest topics and industry experts both on and off the show floor. This year, Floor Trends’ editor Tanja Kern hosted a panel discussion on how to hire, train and retain qualified flooring installers. Did you attend any of TISE’s Converge education sessions? Concrete moisture is the predominant cause of flooring failure. Share your concrete moisture practices and opinions. In our September issue, we hear how Commercial Flooring Services of Huntsville, Ala., literally rose from the ashes, rebuilding after embezzlement. Unfortunately, embezzlement and other threats from within can take place for any company and industry. Commercial Flooring Services rebuilt its business from the ground up and is now well positioned for growth. Has your business ever faced any internal threats? Rod Von Busch, vp of operations at CDI Flooring says labor is everyone’s job. Because according to Von Busch, no matter what segment of the flooring industry you might represent, your business is and will be impacted by the labor shortage. Do you agree? Many flooring retail operations are family owned. In our May issue, we learn how Seattle-based NFI Enterprises is growing under the direction of father-son duo Zach and Gary Brown. Is your retail business family owned and operated? Our social media and digital marketing guru Irene Williams recently outlined what it means for retailers to make the most of Facebook. What has your business done to maximize the benefits of Facebook? Mohawk’s Omnify is helping retailers compete with digital giants. Are you currently using a multichannel approach to sales to provide your customers with a seamless shopping experience both online and in store? In our latest issue, we discuss ransomware. Have you taken measures to protect your company against this malicious software? In our August issue, Brian Gracon discusses retail operations transforming for survival. What have you done (or how do you plan) to transform your business to stay abreast in the ever changing flooring retail environment? As advancements in technology allow for industry innovations, what do you think carpet has benefited from most? The future of LVT looks bright. How have your sales been in this category? How was business on the retail side for you and your operation in 2016? 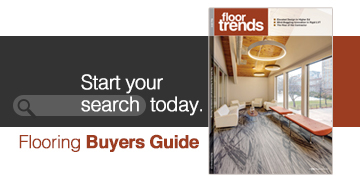 This month, we spoke to Steve Simonson, founder of iFloor, and Stuart Hirschhorn, research director of Catalina Research, about the future of online sales when it comes to floor covering. What are your thoughts about selling floor covering online? Floor Trends recently checked in with retailers to see how laminate is faring in 2016. Some retailers have seen a slight increase in laminate sales this year, while others reported that units are likely down. How is laminate selling (or not) for you? Over time, years of heavy lifting, running from one job site to another and exposure to chemicals can take a toll on installers’ bodies and health. In addition to making sure installers aren’t working without the proper personal protective equipment, what else can be done to ensure the physical wellbeing of installers? With 2016 well under way, we want to check in and see how business is going. Let us know in our poll! Flooring-specific software is allowing retailers to easily manage nearly every aspect of their operation, and take their business to the next level of profitability and efficiency. After a tough winter for most of the country, how has the year been since? Do you think consumers are steering toward more products made in the USA? Today, information is easier to come by than ever before, but it’s getting harder to separate what you need from what you don’t. Which commercial segment has the most potential for growth in 2013? What will have the greatest impact on your flooring business in the second half of 2012?